More details have emerged from the day Washington State quarterback Tyler Hilinski died of a self-inflicted gunshot wound to the head. More details from Jan. 16, the day Washington State quarterback Tyler Hilinski died from a self-inflicted gunshot wound to the head, emerged Tuesday in a statement issued by the Pullman Police Department. Hilinski was last seen at about 8:45 a.m. that day, when he dropped off a teammate for class at WSU, the statement says. A group of WSU players’ moms told The Seattle Times on Sunday that Hilinski had missed a planned lunch that day with teammates. 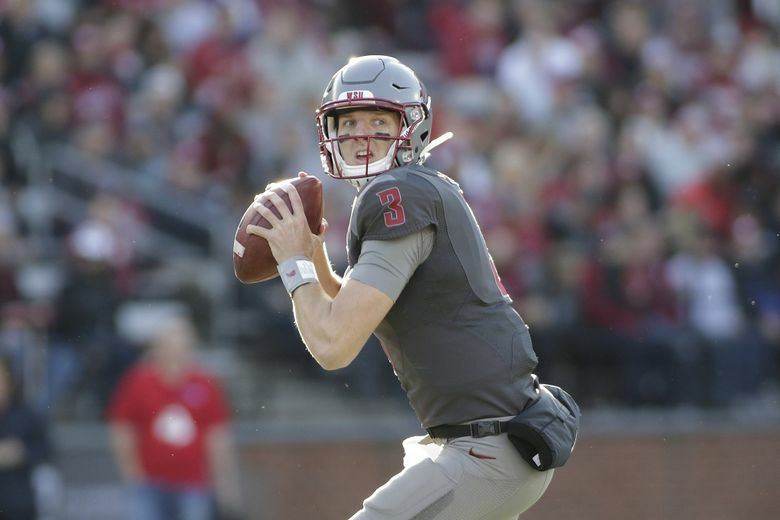 WSU coach Mike Leach said in an interview Saturday that Hilinski went on a run that morning and later traded text messages with teammates to set up 7-on-7 drills for that afternoon. At around 2 p.m., after Hilinski had failed to show for a team weightlifting session, coaches tried unsuccessfully to reach him by phone, the police statement says. At about 4 p.m., Pullman police received a request to do a welfare check on Hilinski. The 21-year-old was between apartments at the time, in the midst of the moving from an apartment he had shared with two teammates to a different apartment with new roommates. Police officers initially went to his new apartment but were redirected to his former residence, the Aspen Village Apartments. However, just before police officers arrived at the Aspen Village Apartments, two other teammates who were looking for Hilinski forced their way into his apartment after they did not receive an answer at the door, the Pullman police statement said. Hilinski’s teammates discovered his body as police officers arrived on the scene, the statement said. The police statement said the weapon Hilinski used was a .223 caliber rifle that belonged to a teammate. It also said Hilinski took the rifle without the teammate’s knowledge, on or before Friday, Jan. 12. The statement did not include details of the suicide note police found in Hilinski’s apartment next to the rifle he used. “State law restricts the release of suicide note details to family members,” the statement said. The investigation, which remains open pending toxicology results from the state crime lab, has not revealed a motive for the suicide, the statement said. The Whitman County Coroner announced last week that it had completed a preliminary investigation into Hilinski’s death and confirmed that the cause was a self-inflicted gunshot wound to the head, and the manner of death was a suicide.